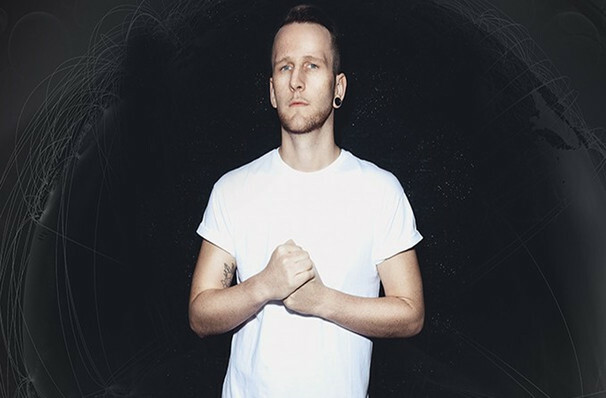 English dubstep songwriter and music producer Zomboy first began making waves in the music industry with his 2016 hit Like A B*tch which featured on his EP Neon Grave. The song went on to be played by legendary DJ's including Skrillex and DJ Snake, making Zomboy's music a sound to listen out for. Today, Zomboy is one of the world's biggest names in dubstep. His 'Rott 'n' Roll Pt. 1' EP came out in August last year featuring the tracks 'Biterz,' 'Young & Dangerous,' and 'Saints & Sinners.' The project has been cited as one of the artist's most thrilling projects to date and came just before his 30-date North American tour. Seen Zomboy? Loved it? Hated it? Help your fellow Boise Theater visitors by leaving the first review! Sound good to you? 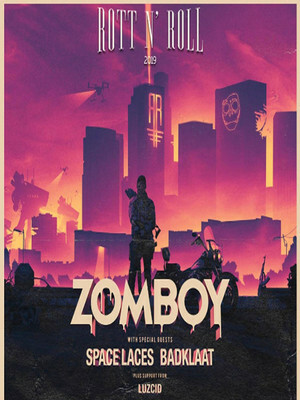 Share this page on social media and let your friends know about Zomboy at Revolution Concert House and Event Center. Please note: The term Revolution Concert House and Event Center and/or Zomboy as well as all associated graphics, logos, and/or other trademarks, tradenames or copyrights are the property of the Revolution Concert House and Event Center and/or Zomboy and are used herein for factual descriptive purposes only. We are in no way associated with or authorized by the Revolution Concert House and Event Center and/or Zomboy and neither that entity nor any of its affiliates have licensed or endorsed us to sell tickets, goods and or services in conjunction with their events.